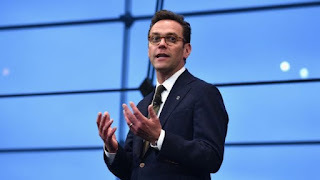 James Murdoch has been re-elected as Sky chairman after narrowly winning the support of independent shareholders. At the satellite broadcaster's annual meeting, 51.5% of independent investors voted for him - up from about 47% last year. Some investors have complained that Mr Murdoch faces a conflict of interest as both chairman of Sky and chief executive of 21st Century Fox. He holds those posts while Fox is attempting to take control of Sky. One investor, Royal London criticised the dual position as "inappropriate". However, a Sky spokeswoman said Mr Murdoch was "uniquely well-placed" to be chairman, saying he had "deep knowledge of the global media industry". Both 21st Century Fox and News Corp, which owns newspapers including The Times and the Sun, are controlled by his father, media mogul Rupert Murdoch. 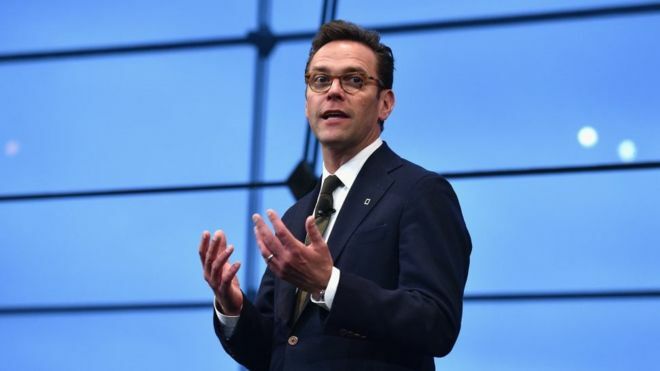 Royal London, which owns a stake worth £44m, has raised its concern over James Murdoch's position. "Minority shareholders at Sky would be better served by a truly independent chairman," said Ashley Hamilton Claxton, the firm's corporate governance manager. "Independent oversight of the board is particularly important given Fox's ongoing bid to acquire Sky." Three advisory groups - Institutional Shareholder Services, Glass Lewis and Pirc - urged shareholders to vote against Mr Murdoch's re-election and executive pay at the company.